Raise your hand if you remember this 1972 top ten hit but you know nothing about it. Maybe you heard it in the film Boogie Nights or The 40 Year Old Virgin. It's a rock arrangement of the Bach composition Jesu, Joy of Man's Desiring. Apollo 100 was a band of British studio musicians led by keyboard player, producer and arranger Tom Parker. He was born in 1944 in Dumfries, England. As a teen he played in jazz clubs. And in the 60s he was briefly a member of Eric Burdon and the New Animals. But by the late 60s he was a house producer and arranger for Miki Dallon's Young Blood label. Among other things he produced and arranged the 1971 Mac and Katie Kassoon hit Chirpy Chirpy Cheep Cheep. He decides to record an album of rock versions of classical compositions. The other musicians in Apollo 100 were session musicians like guitarists Vic Flick and Zed Jenkins, bassist Brian Odgers, drummer Clem Cattini and percussionist Jim Lawless. A rock version of Jesu, Joy of Man's Desiring was recorded by Jigsaw in 1970. But it wasn't a hit. 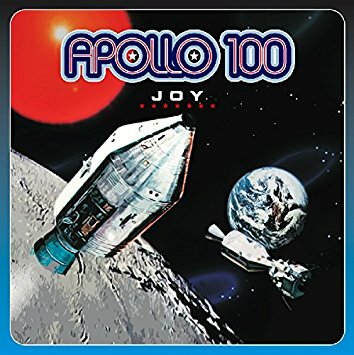 Joy was on Apollo 100's second album. It was picked up in the US by Nashville's Mega Records which was mainly a country label. Their best known artist was Sammi Smith. Joy reached #6 on the Billboard Hot 100. Joy still gets airplay on oldies radio and it was used in the films Boogie Nights and The 40 Year Old Virgin. Apollo 100 recorded a few albums until Young Blood closed in 1976. This comp is available on CD. Parker went on to lead the New London Chorale in the 80s. This classical crossover group recorded for RCA. Parker retired in the 90s and moved to Spain. He died on Apr. 18, 2013 at age 69. Here's a video for Joy by Apollo 100. I heard that tune growing up and then collected it on the "Have a Nice Day" CD collection. I loved that music but knew nothing about the origins and who produced it. Thanks so much for the history of that tune and of the people made it a hit. Defshepard.